Award winning UK -based artist Gina Czarnecki's new work Contagion premiered at QUT creative industries precinct as part of Brisbane Festival 2008. 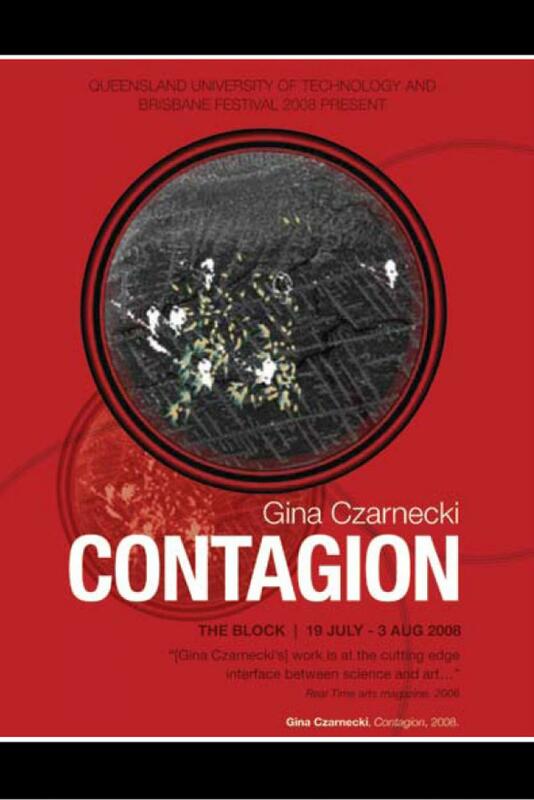 Contagion is an interactive exhibition that invites participants to experience the majesty of playing and painting with light by creating a rich and complex visual system in which the visitor's movements generate and influence the evolving imagery. Funded by Wellcome Trust Sci-Art Awards, with additional support from Arts Victoria, Melbourne City Council, and Experimedia at The State Library of Victoria, AU, 2005-7.
sound by christian fennesze & programming by tim kreger. presented by forma, qut and brisbane festival 2008.